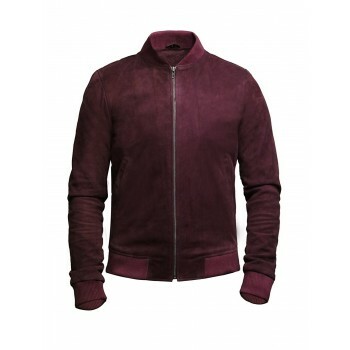 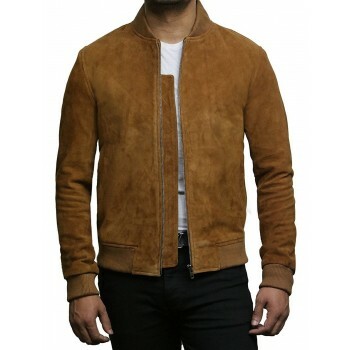 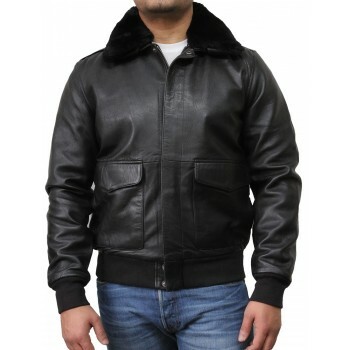 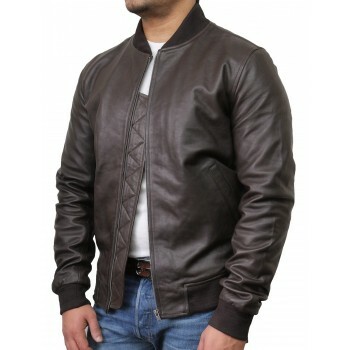 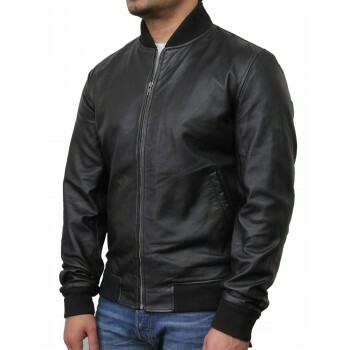 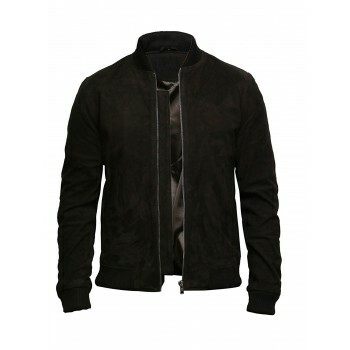 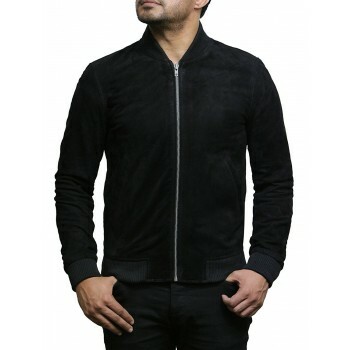 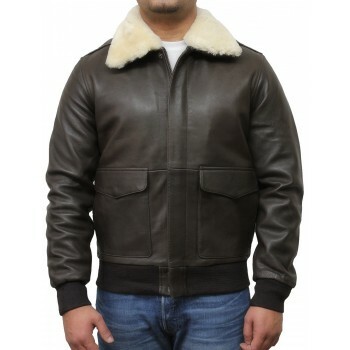 Men's bomber jacket crafted from sheep aniline. 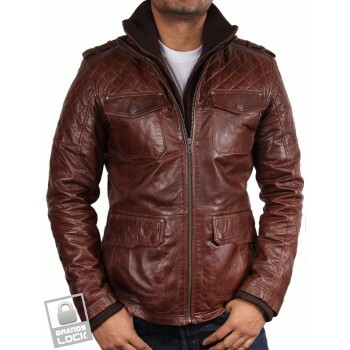 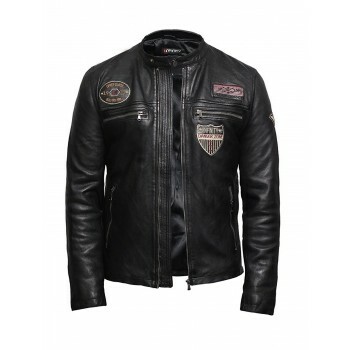 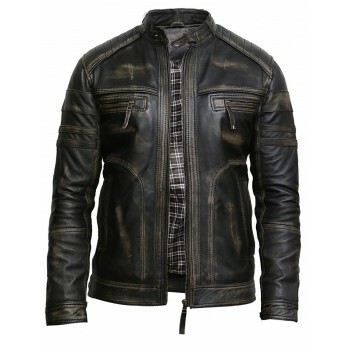 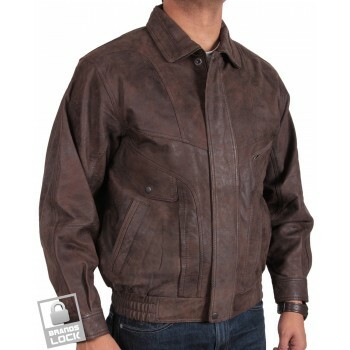 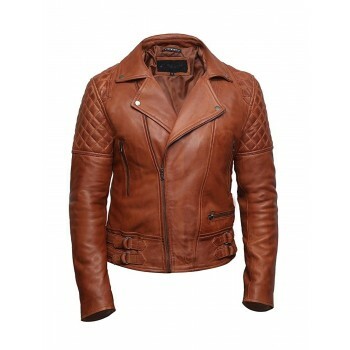 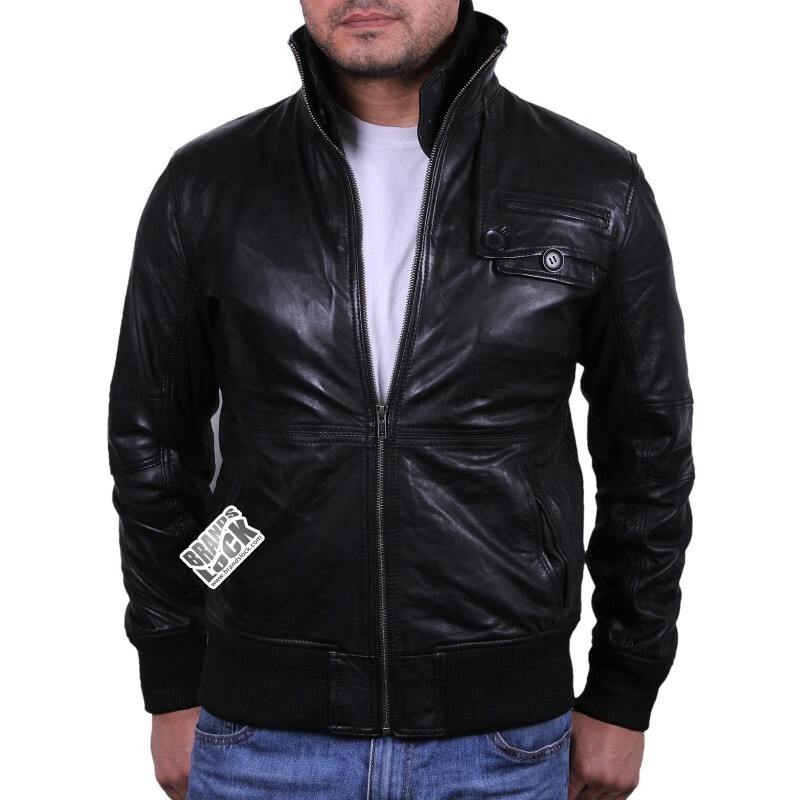 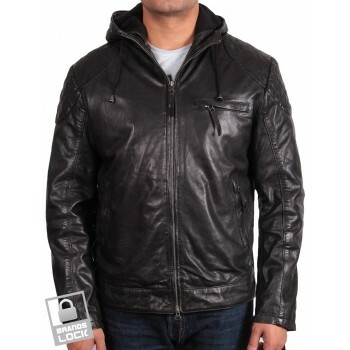 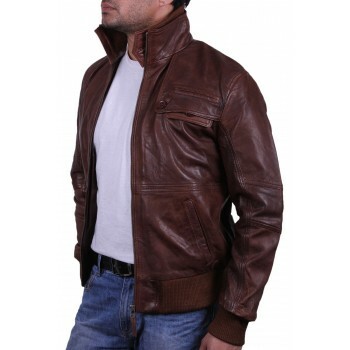 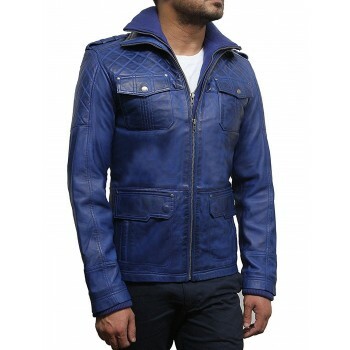 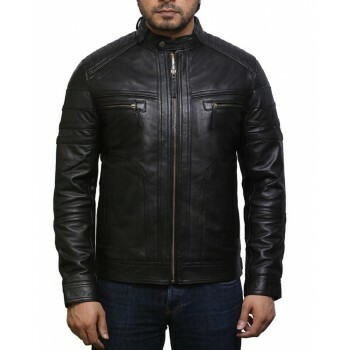 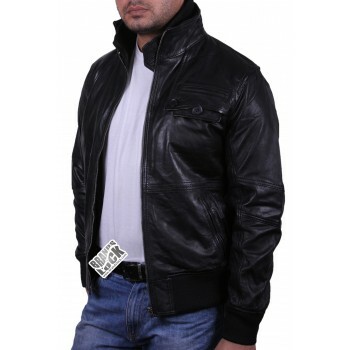 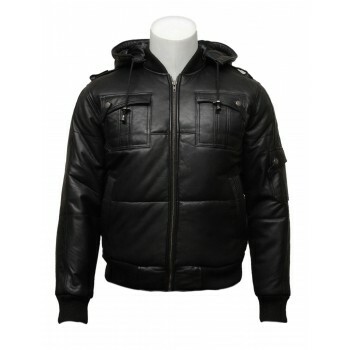 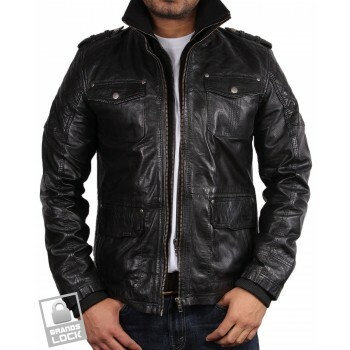 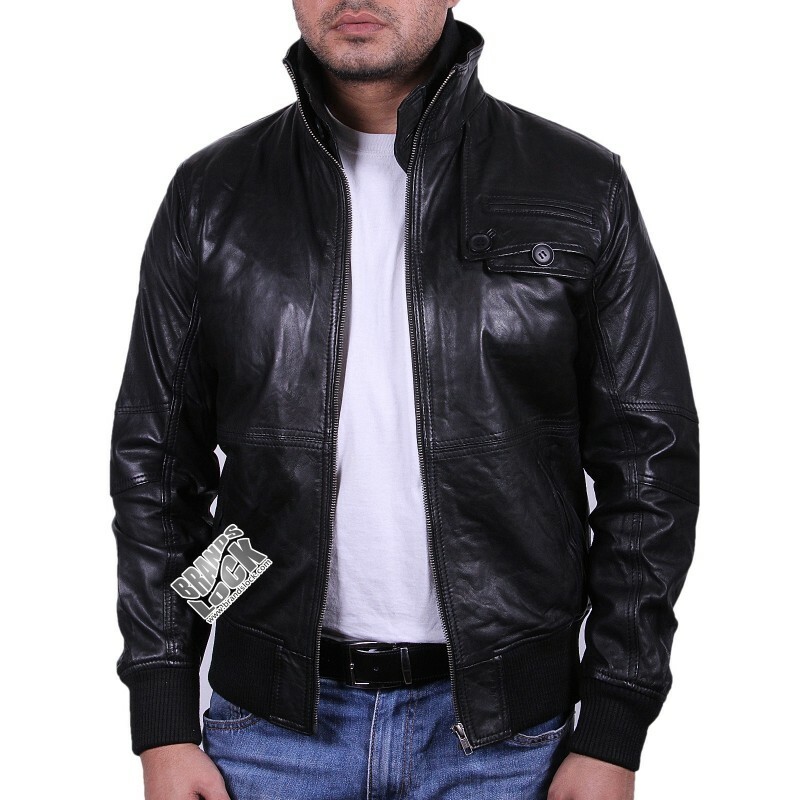 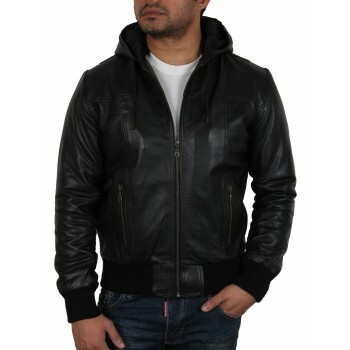 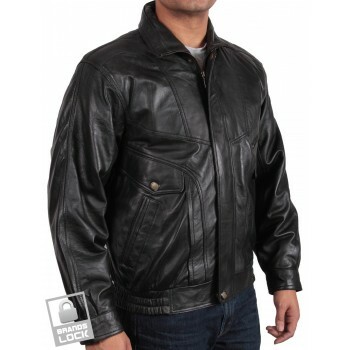 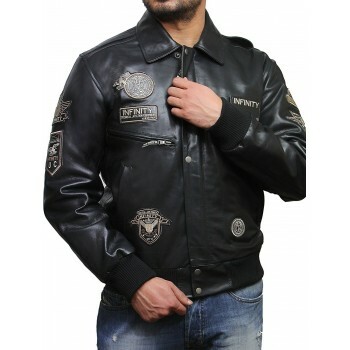 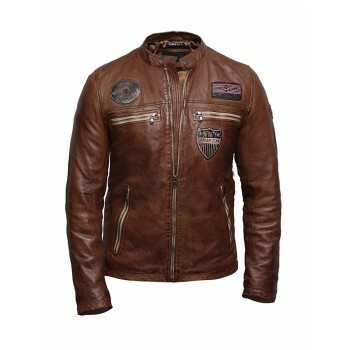 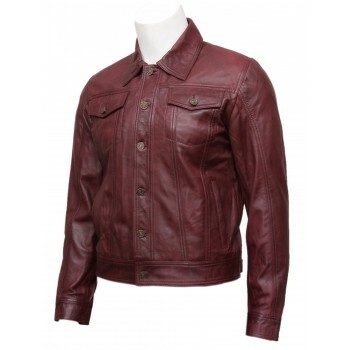 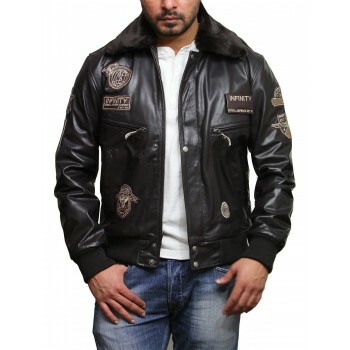 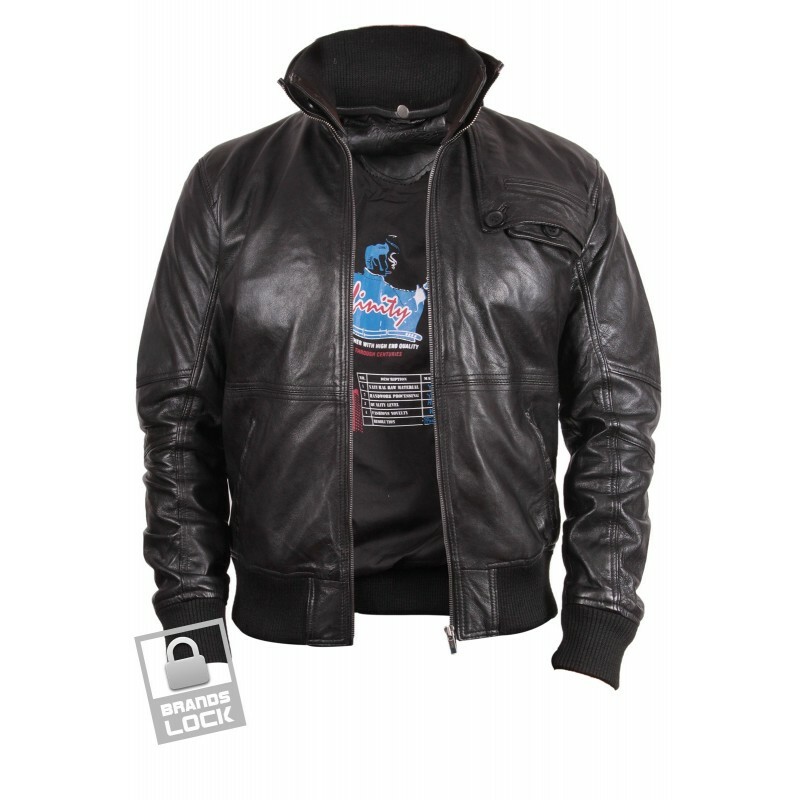 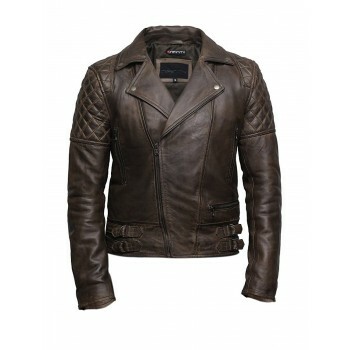 This jacket has a detachable rib nit collar inside and on the outer its it has a stand up leather collar. 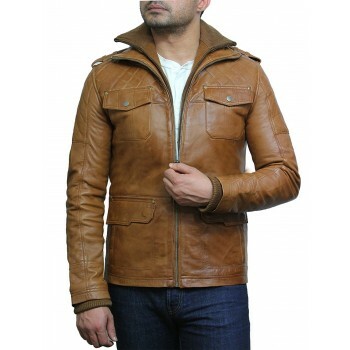 Clean cut jacket in smooth look, quality stitching and great details all over to bring out style. 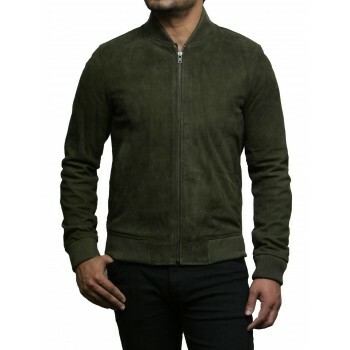 Quality YKK zips throughout the jacket.